’14 February 2006′, 46 x 40, Oil on Canvas, 2006. For as long as I can remember, the Lynn Boggess piece above has been one of my personal favorites. All the elements that often pull people to Lynn’s work are present — perspective, natural beauty, capturing reflection, movement, and a feeling of perfect calm. He creates a wild duality in his work: far away you would swear you were looking through a window to the natural world, yet up close the heavy impasto of the oil paint is interestingly abstract. 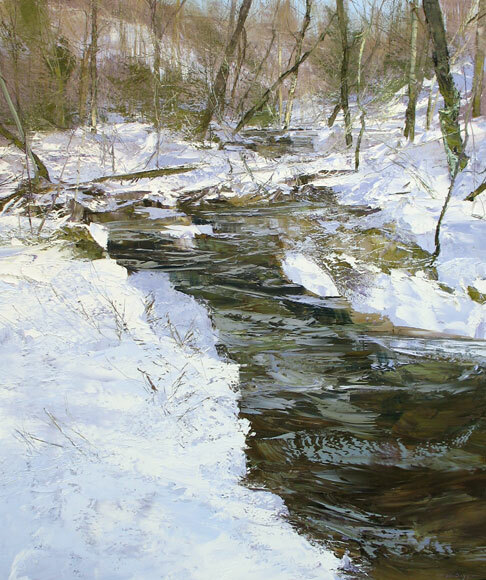 On Friday, February 24th, 2012 from 6:30-9:00pm we’ll be opening our annual exhibition for Lynn focusing on his winterscapes. Last year we were all stunned by a 64 x 54 inch canvas that Lynn captured after putting chains on his truck tires and making a long, treacherous trek into the depths of his Canvas, West Virginia property. It was just magnificent! 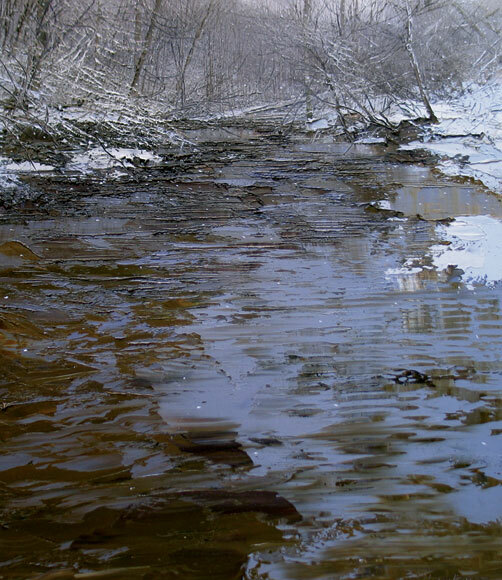 ’18 January 2011′, 64 x 54, Oil on Canvas, 2011. We hope to see you on February 24th! Lynn will be in attendance to talk about his adventures with this 2012 batch of paintings.